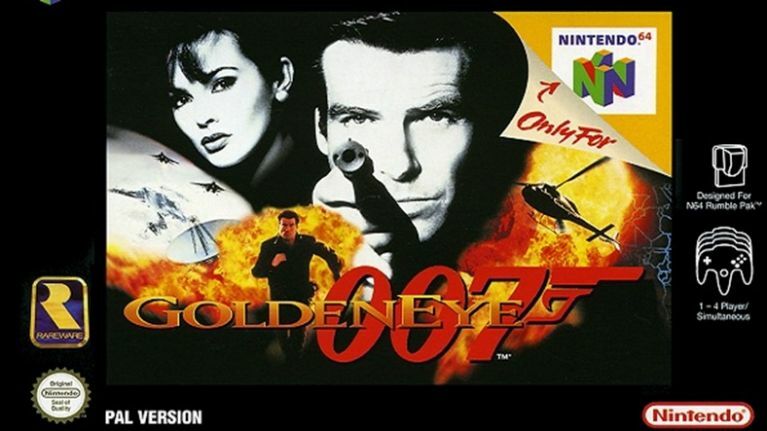 There are certain iconic video games that instantly make you feel nostalgic for your youth and GoldenEye 007 on the N64 is definitely one of them. 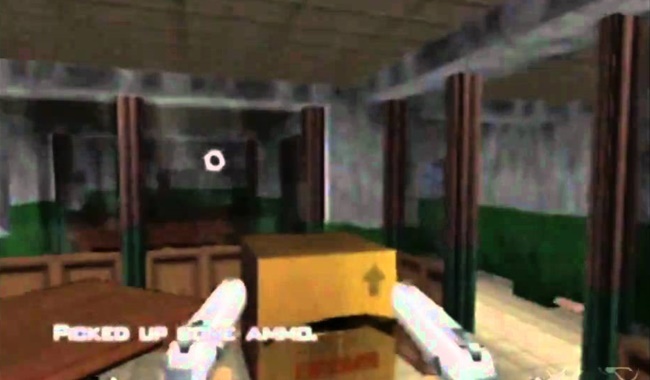 The superb 1997 first-person shooter is one of the most important releases in video game history, but it also provided us with more hours of fun with our friends than we could ever articulate. Even hearing the names of the deathmatch arenas like Frigate, Archives, Bunker, Caverns and Facility still make us giddy with nostalgia. 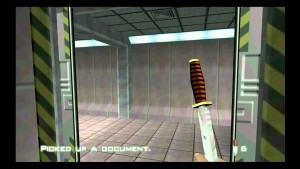 The game sold eight million copies worldwide and the fantastic weapons were a big reason why. Here are our 15 favourites weapons in reverse order. It's kind of like Top Of The Pops, but with more killing. The last act of a desperate man in a deathmatch, BUT we all feared being caught low on ammo. As Ron Burgundy would say, you've still got Jack Johnson and Tom O'Leary waiting for your mates, but you were usually killed off with a hail of bullets. This being said, there was still no worse feeling than having your mates kill you off in the game with their bare hands. This was the gun of choice for most of those green-suited Russian officers and we always loved the dual-firing capabilities of this bad boy. The gun mainly has a place in our hearts because scientists usually drew a DD44 if they were shot twice in the leg and then ignored. We loved torturing those guys. This monster was louder than an exploding atomic bomb, but its coil and reloading mechanisms were even slower than Per Mertesacker turning on ice. All things considered, there was no bigger thrill than shooting a guard with this beast and almost blowing them into next week with the sheer force. Seeing that impact was almost worth bringing the wrath of every single guard into your location. You don't need bullets to kill a man and proficiency with this weapon really separated the men from the boys in a deathmatch. 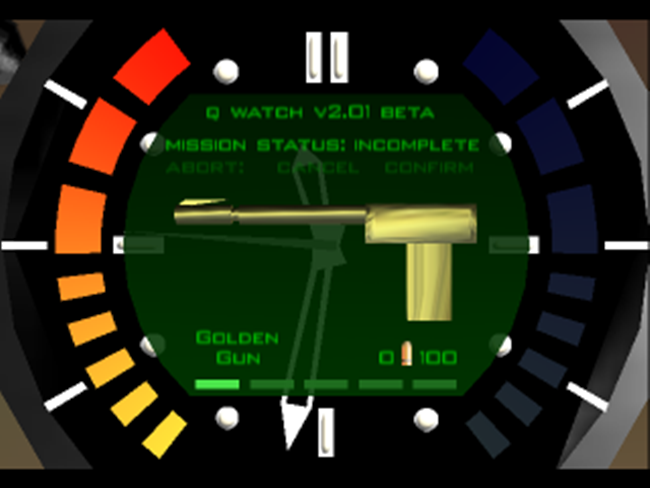 If you had to judge GoldenEye by real-life standards, then this gun was the most accurate of them all because all it required was one shot to die. Francisco Scaramanga's weapon of choice did take some of the fun out of having a lengthy deathmatch, but there was a giddy buzz if you were the one in possession of it. Hounding down your mates like a rabid dog and seeing them run from you provided endless craic. 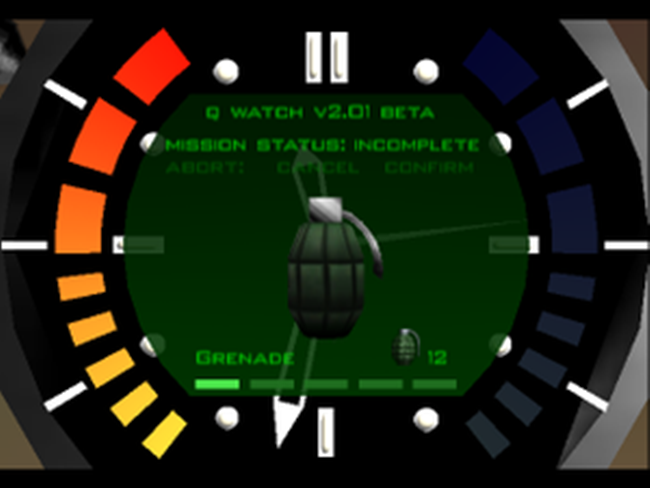 Let's be honest, the watch laser was a bit crap because it required your enemies to be about two inches from your face to inflict any serious damage, but this weaponised version was pretty decent. No magazine, no ammo, no problems, because this beast could also shoot through doors. Poor Bond, he never stood a chance against Jaws. 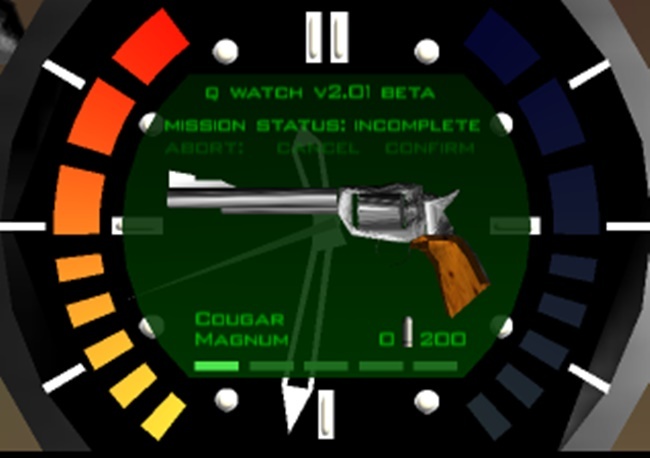 This was probably the most popular gun in the whole game because it struck a lovely balance between long-distance shooting, decent firepower, quantity of bullets and control. 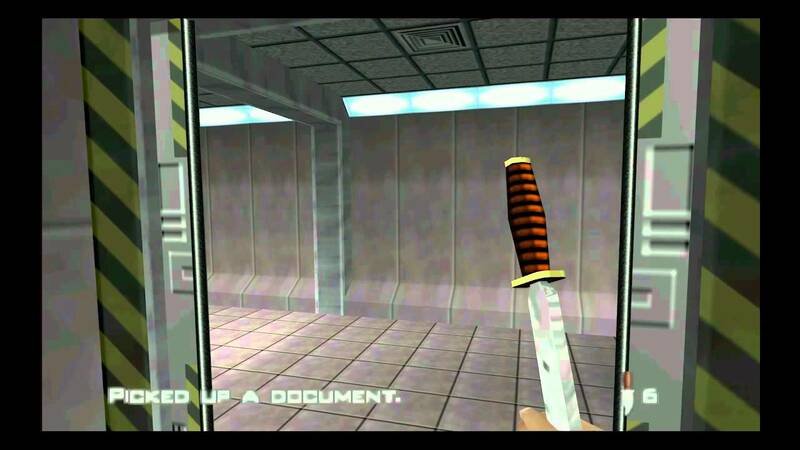 We're proud to admit that we killed so many people with this weapon AND we don't have any remorse. It did look like a fancy crayon though. This was the weapon that separated the 'real' MI6 agents from those chancers who just wanted to go bullet-crazy and fire their guns at anything that moved. 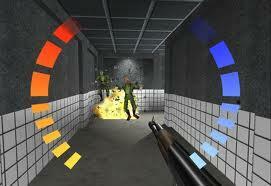 There was no better feeling than quietly tip-toeing up behind a guard and shooting them in the head. This footage is pure nostalgia. Power, power and even more power. Did we mention that it's powerful? We had endless fun throwing grenades at our friends and seeing the look of sheer panic on their faces because they realised there was only five seconds to evacuate the room before it exploded. If you were very skilled then you knew how to hold onto them and then throw, but the best kills were when there were oil barrels in the same room. There's nothing quite as exhilarating as picking off someone from a distance because they didn't even see it coming. We could listen to this noise all day long. We swear we're not gun freaks here in JOE Towers. One of life's simpler pleasures was obtained by squashing hundreds of nameless henchmen like ants via this behemoth of a vehicle. Those screams combined with this firepower is just awesome. 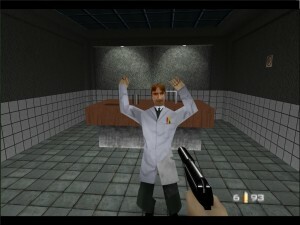 Is it weird that we always pictured Hank Scorpio from The Simpsons firing this gun while laughing maniacally? This absolute beast of a weapon probably fired off around 200 bullets per second as it mowed down anything in its path. As the saying probably goes, "there are no friends in a deathmatch", and while your friends can run, it's impossible for them to hide. Nothing could ever top the sheer devastation that a well-fired rocket would cause. Take a look at the bottom player in this game. What a hit. 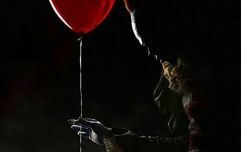 Like a fly that lands into a spider's web, there was no better feeling than seeing your poor pals walk into their imminent death via a trap that you carefully planned. 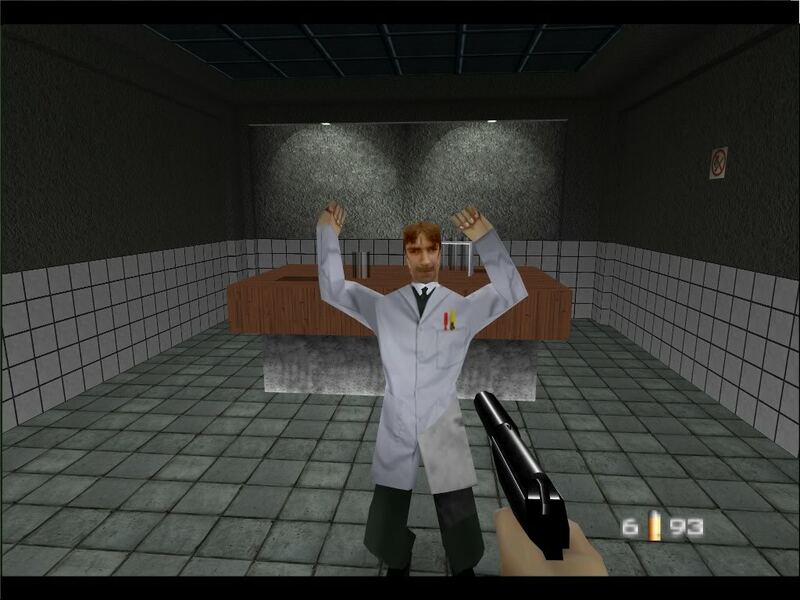 The best kills in GoldenEye were calculated, brutal and cold.